As a parent and an SLP, I am interested in understanding the relationship between television and language development. Learning from the research helps me make better choices with regards to being a parent and when training other parents of young children. I read an interesting article titled “The Relationship Between Television and Language Development” by Jessica M Loverude that explored the relationship between television and language development. All of the studies reviewed focused on young children ages 6 months and up. 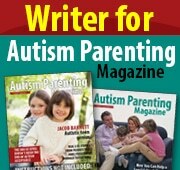 I found the article comprehensive and valuable to both parents and providers who are working with young children. The author reviewed two research studies that explored the effect of background television during play. Both research studies found that the television distracted the child during play and interrupted play. This lead to an overall reduction in play episodes which can lead to negative effects on language development. The first study titled “The Effects of Background Television on Toy Play Behavior of Very Young Children” looked at the effect of the background noise in 12, 24 and 36 month old toddlers. The second study titled “Background Television and Infants’ Allocation of Their Attention During Toy Play” looked at 6, 12 and 24 month old toddlers. For more information about these studies read the article here. One of the studies that the author discusses titled “The Impact of Background Television on Parent-Child Interaction,” researched fifty-one 12-, 24-, and 36-month-old children that were chosen to participate in an hour of play with one parent in the presence of adult-directed (background) television. The results of this study showed that parents were less verbally interactive with their children when watching adult directed television. In addition parents were less responsive when their children initiated attention with their parents. Also, children were shown to have a 19% decrease in socially interactive behavior (Kirkorian, Pempek, Murphy, Schmidt, & Anderson, 2009). In one study by Kirkorian et al.’s (2009), the presence of background television affected both the quantity and quality of interactions. Verbal responses were described as passive in nature with parents verbally acknowledging without looking or not responding to their children (Kirkorian et al., 2009). For example, this means that a child initiates communication by reaching for Mom. Mom might say “let’s play later” without shifting her gaze off the television. What is child directed TV? These are shows that are created for young children. For example, Sponge Bob, Teen Titans Go, etc. The author discusses another research study titled “When The Television is On: The Impact of Infant-Directed Video on 6- and 18-month-olds Attention During Toy Play and On Parent-Infant Interaction”. In this study, researchers looked at child directed television during a free play period with infants. There were 48 infants aged 6 and 8 months old. Results showed that while infants spent the majority of their time attending to the toys, there were brief moments of distractions. With constant distraction, this can lead to more scattered play which can affect language and learning development. Why is imitation important? Babies learn by imitation by watching what you do, how you interact with others and how you speak. Imitation is extremely important to language development because this is primarily how babies learn how to play, speak and interact with others. The author reviewed another study titled “Imitation from Television by 24- and 30-month-olds.” Adults in the study were instructed to complete a task with novel items both live and recorded video. Although the toddlers were able to imitate the tasks in both live and recorded video, the results of the study found that both age groups were better able to perform imitation tasks when the demonstration was live (Hayne, Herbert, & Simcock, 2003). DO limit television to children ages 2 and up. It is recommended by the American Academy of Pediatrics (1999) that children under 2 do not watch any television. DO choose interaction based television shows (shows that creates the opportunity to interact with the character). For example, Dora will often ask questions throughout the show which children will often respond to. Other videos like Leap Frog are also interactive. Research by Linebarger and Walker, 2004 has found that viewing these shows can lead to increase expressive language production and vocabulary skills. DO choose narrative based television shows (a show with a story-like nature) which can help lead to increase vocabulary. DO turn off the television when it’s not being watched. That alone can help a child attend better to play and reduce overall distractions. TURN OFF the television when reading to your children.